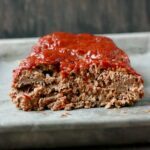 This is the easiest meatloaf recipe! The secret is a can of Manwich ensuring it comes out so tender and juicy every single time. This is the perfect comfort food recipe. 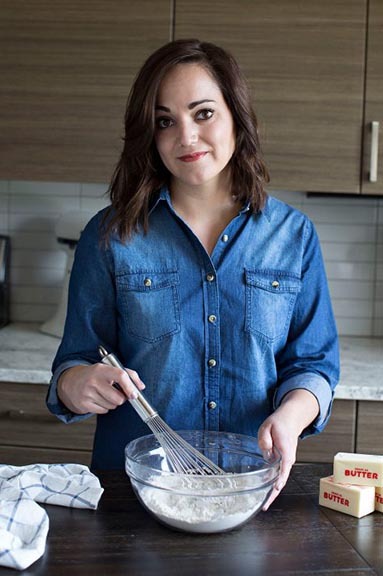 I am always on the hunt for a good easy dinner recipe. Something that can be added into our regular rotation. THIS meatloaf is it. It is super simple, has minimal ingredients, and tastes fantastic! Even my super picky 9 year old requests it on a regular basis. A can of Manwich stirred right into the meat. It gives you a moist and tender meatloaf that is full of delicious flavor. When combined with the six other ingredients you get a super simple meal ready for the oven in under 5 minutes! How do you know when meatloaf is fully cooked? The best way to know when your dinner is done cooking is to use a meat thermometer. I highly recommend purchasing one. We use this one for EVERY RECIPE. It is an easy way to make sure your dinner is ready without over cooking. 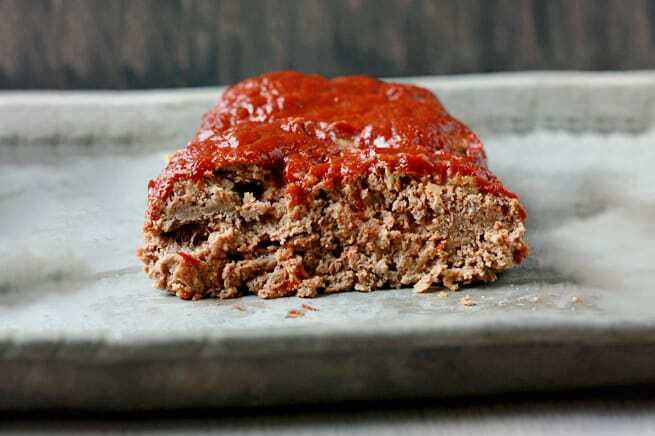 How do you keep meatloaf from drying out? We have all been there. You pull the meatloaf out of the oven only to find that it has shrank and is completely dry. Follow these tips below to help get moist and flavorful meatloaf every time! Do not over mix! Use your hands to incorporate all of the ingredients until they are only just combined. When shaping your loaf, remember that looser is better. Use a higher fat meat. We lean towards an 80/20 ratio. Let your meat rest. Once it has come to temperature, remove from the oven and allow to rest 10 minutes before slicing. 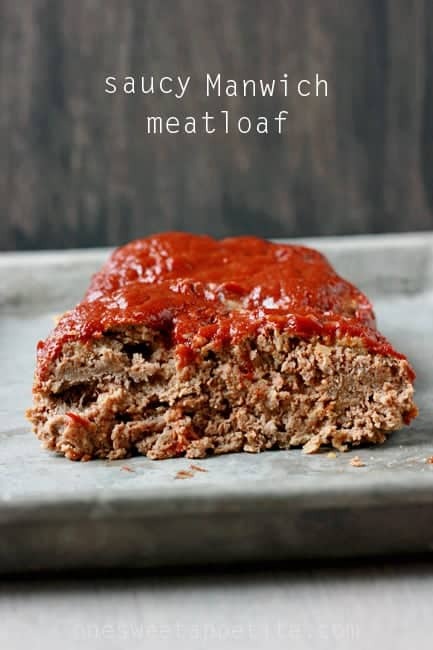 This is the easiest meatloaf recipe! The secret is a can of Manwich ensuring it comes out so tender and juicy every single time. Preheat your oven to 350 degrees. Lightly mist a 9x13 dish with non-stick spray. Stir together 3/4 cup of the Manwich sauce, eggs, bread crumbs, onion, salt, pepper, and meat. You might need to get messy and put your hands right in there to ensure that all of the ingredients are well combined. Shape your mixture into a 9x5 rectangle in your prepared dish. Spread remaining sauce on the top and cook for 45 minutes or until an internal temperature of 160 degrees. Cool 10 minutes before slicing. Definitely the meat loaf! I love, love meat loaf and using this sauce would make it 10 times easier to fix! Saucy meatballs look Super Bowl perfect! YUM! Sloppy Joe and Biscuit Casserole – all the mess you can sop up with a Biscuit!! That’s good eating! Defiantly the sloppy joe dip! It looks amazing! The meatball hoagie looks amazing! I want to try the meatball hoagies. This one! OK, the slow cooker crockpot chicken sandwiches too! I think I would definitely try out the shredded beef sandwiches or the party sausage dip. I had no idea there were so many options! Sweet and Savory Saucy Meatballs are at the top of my list. Yum. Yum! I’d make Chuckwagon Turkey and Bean Skillet. It looks easy! I’d love to try the saucy meatloaf. Yum! Yum! I never knew that there were other choices either! Fun! THe baked sloppy joe cups, look like something I’d like to try! (And the meatloaf!) Awesome giveaway! I would love to try the meatball hoagies. SOunds delicious! My favorite is the recipe for the Chuckwagon Beef and Bean skillet. They also have a few casserole recipes that I want to try out. I love your pictures! They turned out so good!